Sen. Jeff Sessions (R-Ala.), Donald Trump’s pick for attorney general, joins the president-elect onstage during a thank-you rally Dec. 17, 2016, in Mobile, Ala.
Six NAACP members were arrested late Tuesday at Sen. Jeff Sessions' Mobile, Ala., office ending a sit-in to protest the nomination of Sessions (R-Ala.) as U.S. attorney general. According to CNN, five men and one woman, including NAACP President Cornell W. Brooks, were arrested and charged with criminal trespass in the second degree. The protesters arrived early Tuesday and planned to stay in Sessions' office until his name was withdrawn for U.S. attorney general or they were arrested. "We are asking the senator to withdraw his name for consideration as attorney general or for the president-elect, Donald Trump, to withdraw the nomination," Brooks said Tuesday afternoon from Sessions' office, CNN reports. "In the midst of rampant voter suppression, this nominee has failed to acknowledge the reality of voter suppression while pretending to believe in the myth of voter fraud," Brooks said. The NAACP members posted live video to Facebook during the sit-in, and Brooks posted a photo to Twitter showing himself and other members inside Sessions' office. 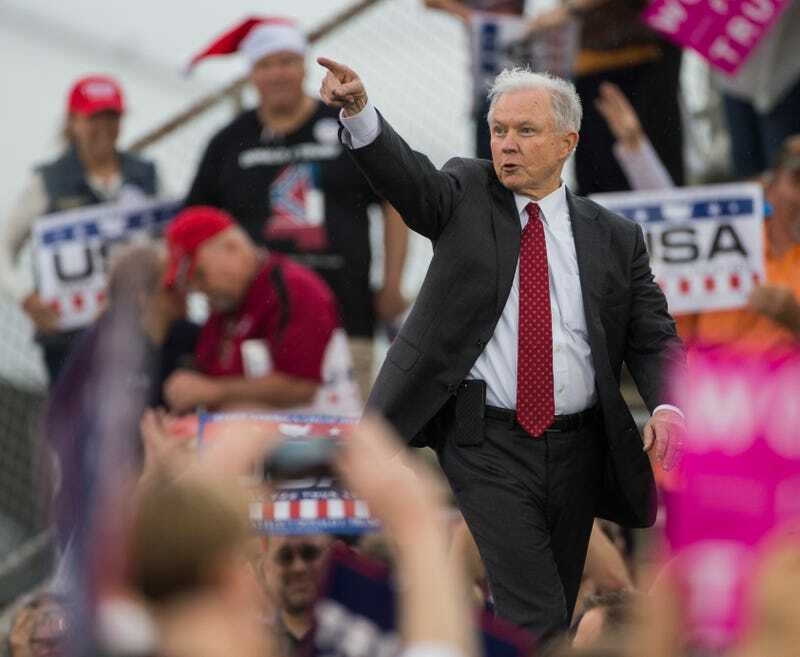 Sessions, a former Alabama attorney general who once noted that he had no issue with the Ku Klux Klan until he learned that they smoked weed, failed to become a federal district court judge in 1986 because of his racist remarks. However, Sessions spokeswoman Sarah Isgur Flores told CNN in a statement: "These false portrayals of Sen. Sessions will fail as tired, recycled, hyperbolic charges that have been thoroughly rebuked and discredited. "Many African-American leaders who've known him for decades […] have welcomed his nomination to be the next attorney general," Flores also said in the statement.